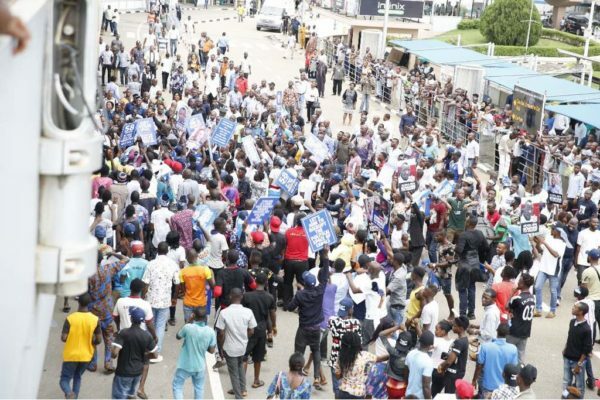 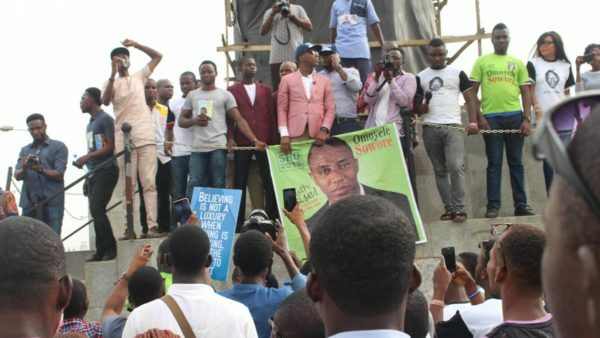 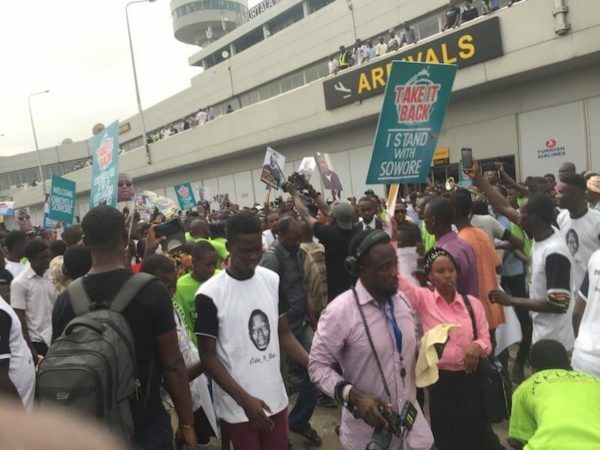 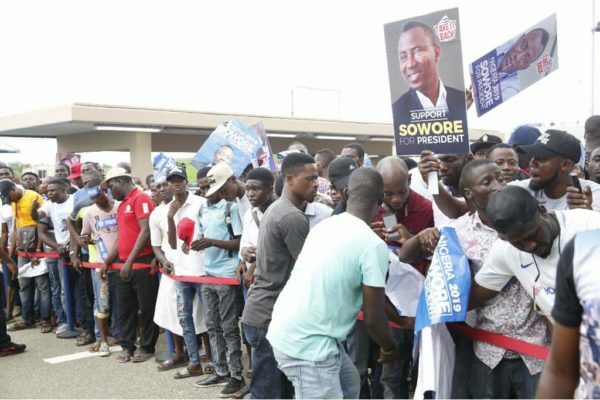 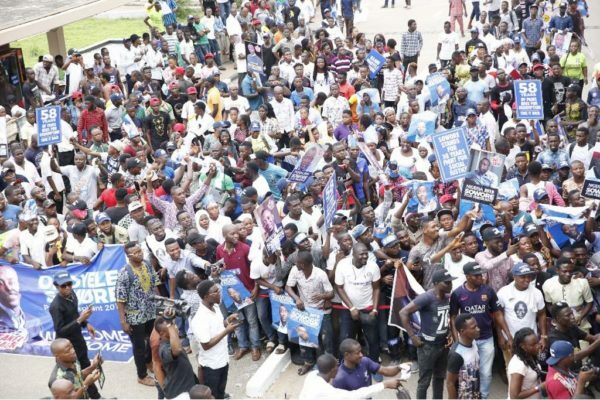 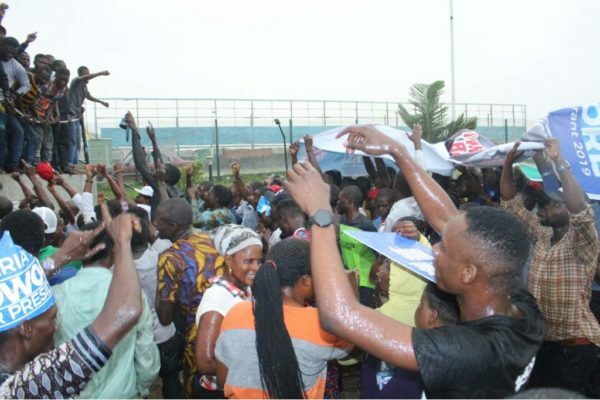 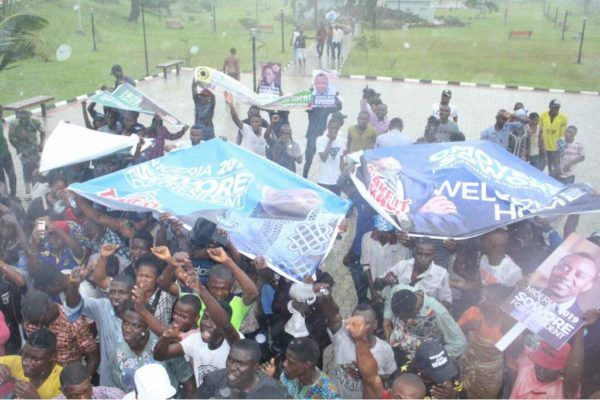 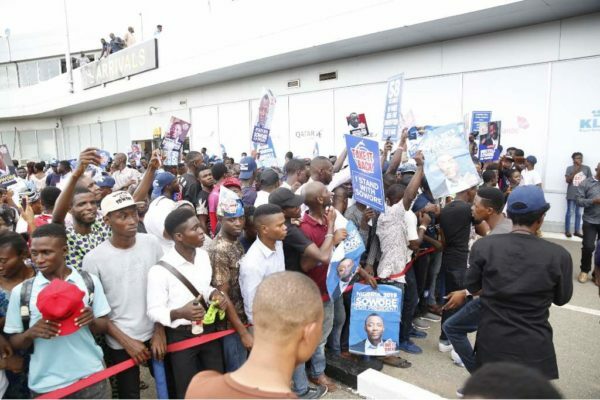 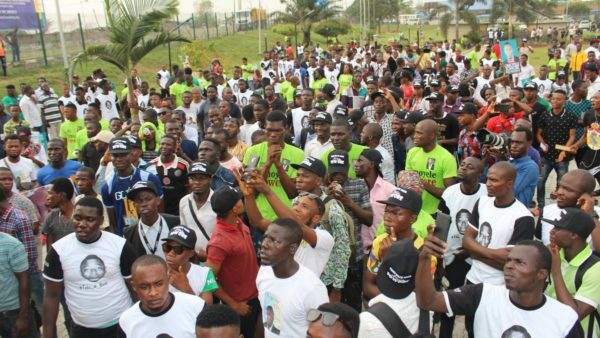 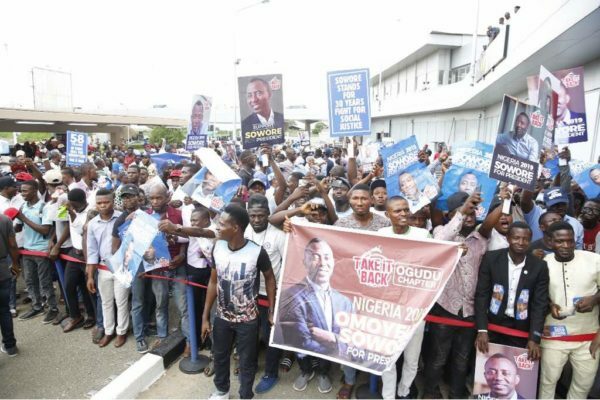 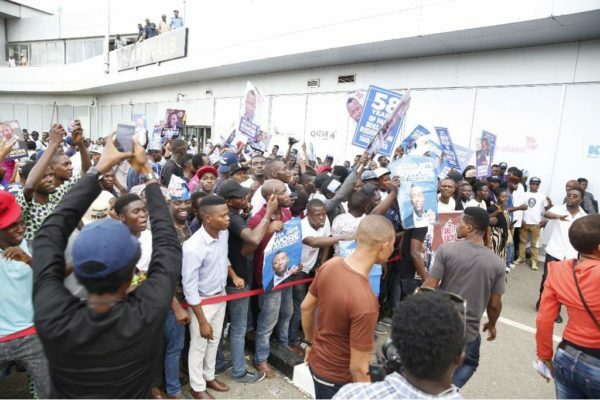 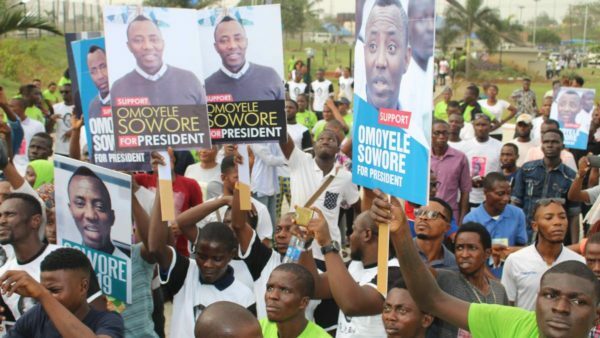 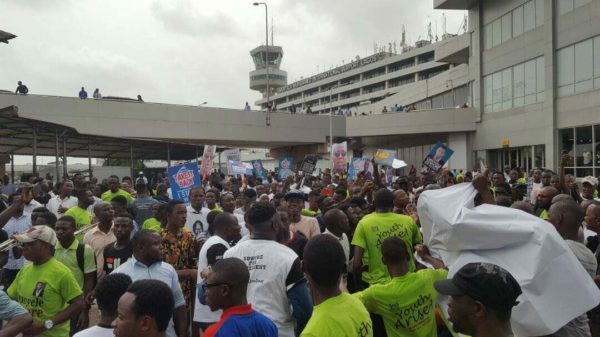 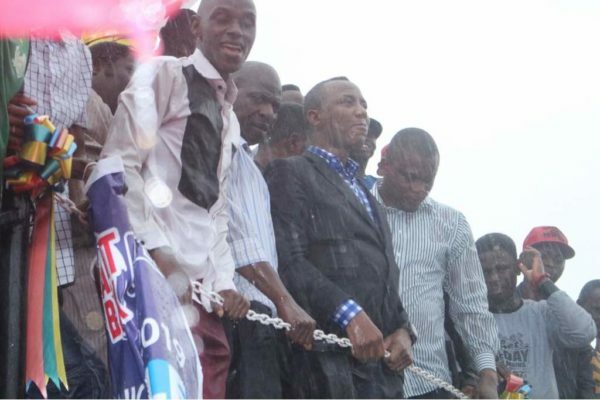 A massive crowd caused a scene at the International wing of the Muritala Airport to welcome leading presidential Aspirant, Omoyele Sowore as he returns to Nigeria. 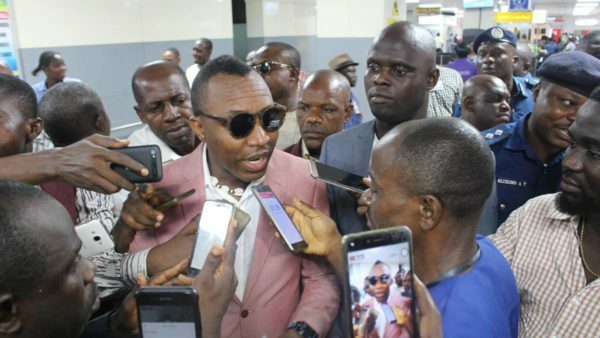 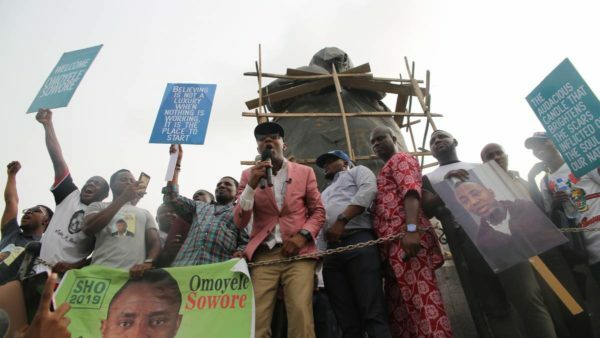 Sowore returned to Nigeria after a series of townhall meetings with Nigerians in the Diaspora. 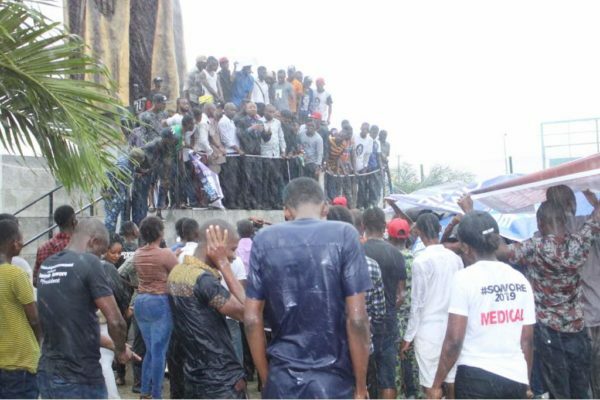 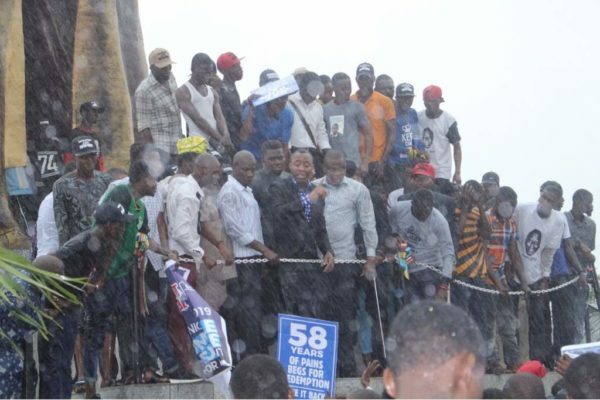 In defiance of the inclement weather Nigerians surged forward to hear Presidential Aspirant Omoyele Sowore speak. 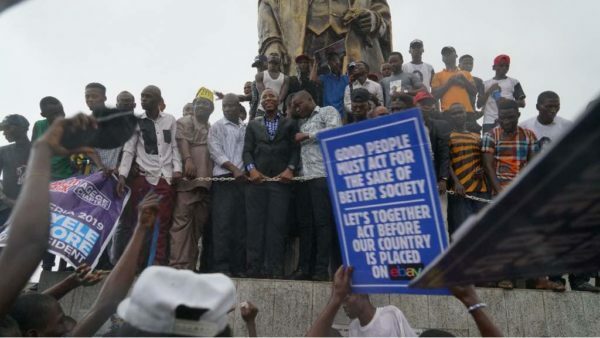 #TakeItBack Come Rain or Sunshine in Nigeria!! 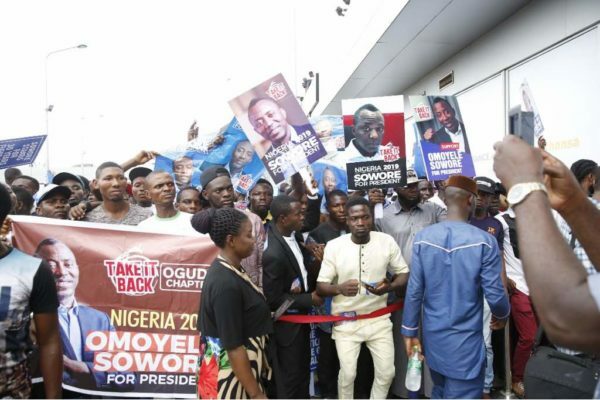 He is back to continue consultations after taking the #TakeItBack gospel to Nigerians in Quebec, Montreal, Ontario, New York, London, Chicago, New Jersey, Dallas, and several other cities across the globe. 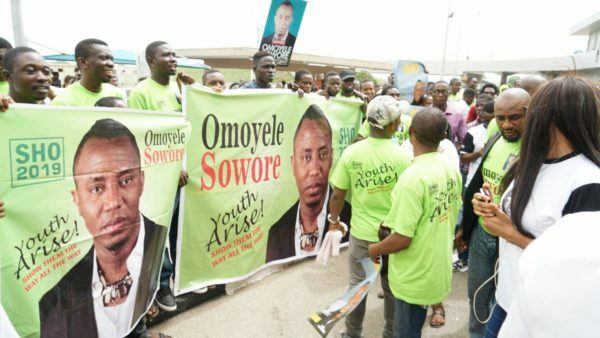 He has also visited Kano, Ibadan, Ondo, and Ogun and he will be visiting more cities as he is of the belief that everyone should be carried along in governance. 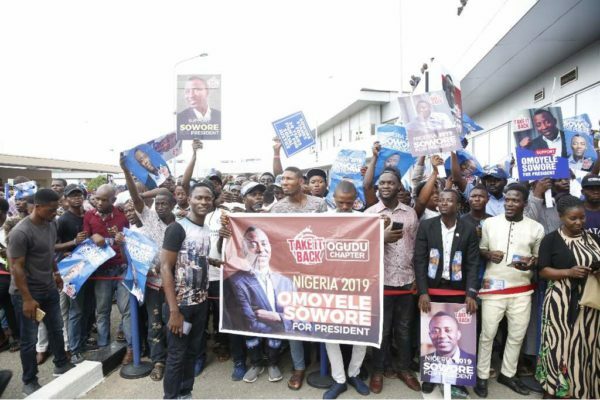 He goes about spreading the #TakeItBack gospel and meeting everyday Nigerians, discussing their problems, the everyday challenges they face, and reassuring them that their days of facing these problems are numbered. 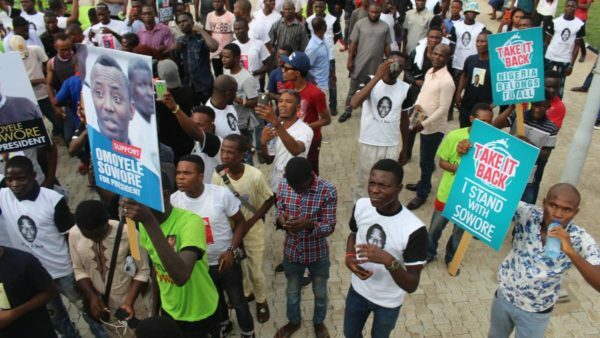 The #TakeItBack movement is coming a city near you. 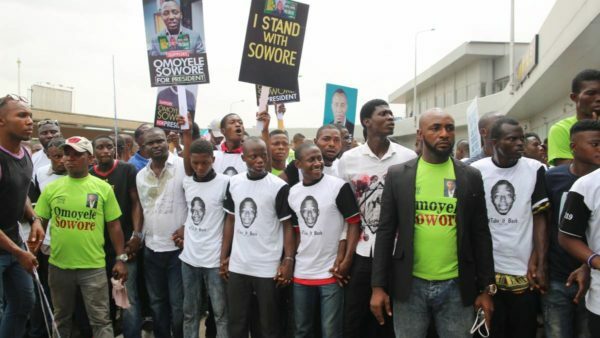 Join in taking Nigeria back from the powers that be and building a new Nigeria that has a place for all of us.